Goede Hoop Citrus (Pty) Ltd is located in Citrusdal, Western Cape, South Africa. The town is 178km from Cape Town alongside the N7 national road to Namibia. 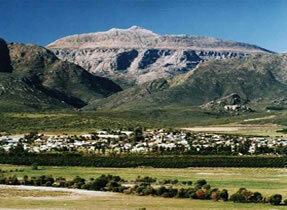 It lies between the Cedar Berg Mountains in the east and the Olifants River Mountains in the west. The district is famous for its citrus orchards and what is presumed to be the oldest orange tree in the country is still bearing fruit on a local farm. The area lies between the 32nd and 35th degrees of latitude, therefore ideal climatically, for optimal production. The cold and wet winters, warm summers and sandy soil are all contributing factors to cultivate dark orange and sweet fruit. As the biggest industry in the region, Goede Hoop Citrus directly and indirectly, helps to provide employment opportunities for around 6 000 people. It fulfills an important social function in the area by means of involvement in the community. Goede Hoop Citrus sources the bulk of it citrus fruit from the fertile upper Olifants River Valley and are lately also making in-roads in the Swartland and adjacent areas with regards to sourcing quality fruit, with Citrusdal as its operational nerve centre. Renowned for citrus in general, the area has gained international acclaim for its superlative navel oranges. Over the years the company has expanded dramatically to become an extended organisation with diverse interests and a modern management style that endeavours to incorporate the latest technological advances and recycling methods in order to stay abreast of developments in the industry. Regardless of its size, the company is flexible enough to cater for the individual needs of the grower as well as the exporter/importer. Our Client Base is our shareholders. The fruit of these shareholders are packed and marketed by the company. The company has the capacity to handle in the excess of 110 000 metric tons of fruit with ease in the 4 pack houses. The company’s commitment to superior export quality fruit starts with our involvement during the growing phase and ends with the end user receiving the fruit grown by our growers. Citrio Producers and Exporters is the latest addition to the growing Goede Hoop Citrus (Pty) Ltd family. The pack house and de-greening facilities is located in Eendekuil which is about 21 km from Citrusdal. 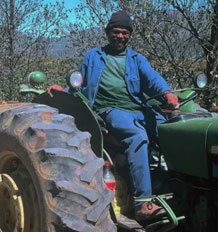 The facility is ideally situated with regard to growers whose farming operations are south of the Piekenierskloof Pass. Citrio maintains the same high standards and service levels for which Goede Hoop Citrus has become known for. The additional capacity that Citrio offers allows for bigger volumes that can be handled and therefore improved customer service to both the grower and buyer. The future possibilities of Citrio are unlimited and indeed exciting. The potential of the facility to handle smaller run sizes, special packing requirements and packing for niche markets are only but a few of the areas to be explored. Goede Hoop Citrus is one of the few former co-operative organisations that have survived the adversities of deregulation.Despite an initial loss in volumes due to the accessibility of the market to other pack houses Goede Hoop maintained its profitability. The loss of volumes was accepted as a challenge and by means of cost effective practices and implementing world-class service delivery the company has succeeded in regaining, and in fact increased its market share the past few years. The company’s balance sheet improved dramatically since the transformation from co-operative to company and can now be regarded as extremely sound. There is optimism for further improvement within the new structure, progressive management style being applied and the sound financial principles that are followed. As a service provider and value-adding agent Goede Hoop has, since the transformation to a company changed its outlook and has as its objective, the creation of wealth for all the stakeholders in the value chain. Goede Hoop Citrus (Pty) Ltd is the major source of employment in the region. The company employs 70 permanent employees and up to 650 employees during the season. 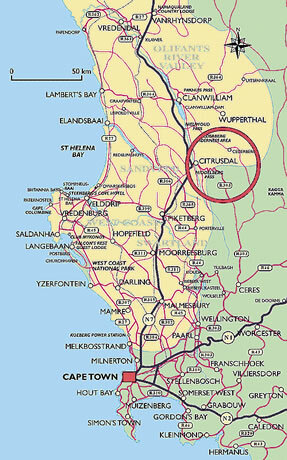 Labour is drawn from Citrusdal and the surrounding towns and district. All the conditions of employment are at the least equal to or better than the basic conditions of employment as prescribed by South African Employment Law. Goede Hoop is extremely proud of the fact that their conditions of employment are in 90% of the cases more favourable than the prescribed minimum. All of the conditions of employment are regularly negotiated, updated and documented. Our human resources are a valued asset therefore the company offers a range of benefits to its employees, which are mandatory. Inter alia these include : retirement provision, disability insurance, death coverage, medical benefit fund, housing assistance, transport, on-site clinic manned by a qualified industrial nurse, etc. Prescribed minimum wage levels do not exist in the fruit packing industry but Goede Hoop’s minimum wages are on par, but more often than not, above the minimum paid by pack houses of comparative size, including the deciduous fruit pack houses. Standard and accredited indicators are used guide and determine annual increases. The guidelines being applied are inflation rate, consumer price index, local subsistence levels, Wages and conditions of employment are negotiated each year. The company is a willing participant in annual external and independent ethical and health and safety audits and are proud of the results of these stringent audits. Non-compliances are virtually non-existent. A sound industrial relations policy is in place and adhered to. The relationship between the company and the unions is excellent. All decisions, which might affect our employees, are, without exception, made on the basis of consensus after a process of either consultation or negotiation. Under no circumstances are unilateral decisions allowed. Goede Hoop is well aware and sensitive of South Africa’s legacy of the past and is therefore very serious about developing employees from the previously disadvantaged sections of our community. 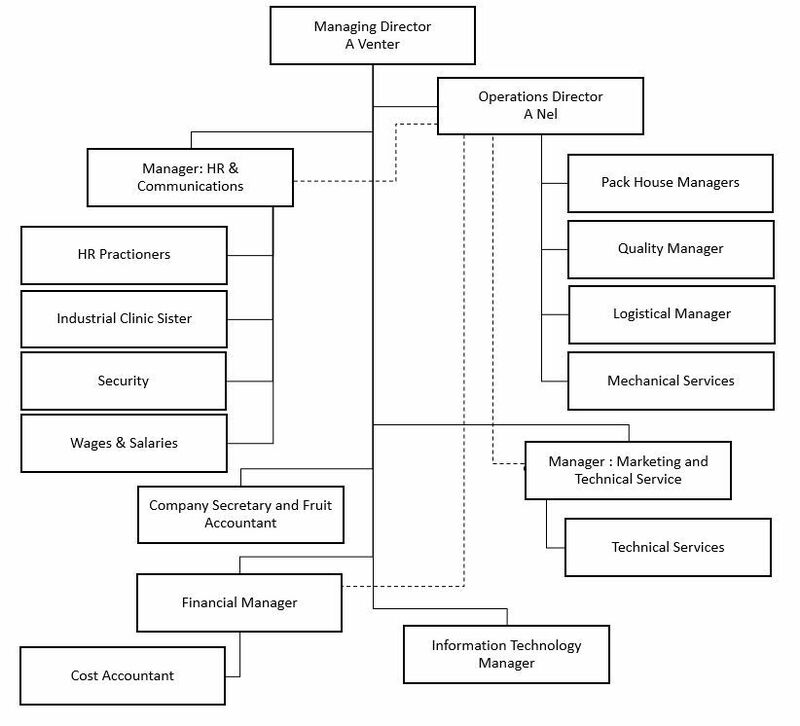 To date we have had overwhelming success with our programmes in the sense that almost 100% of our junior management and 55% of the middle management consist of employees previously employed as general labourers and who are now the result of the developmental programmes we offer. A very generous training and development budget supports the development of our human capital. It stands beyond reasoning that the Company subscribes to employment equity and has declared so publicly. Goede Hoop is actively in process to address the imbalances of the past without jeopardizing the employment security of any of its current employees. To upkeep the momentum of the process a fully representative consultative forum assists the company to reach its targets. The composition of the South African society is well reflected in the workforce in the sense that males, females, whites, and blacks are employed on an equal basis. A broad based black economic empowerment transaction resulted in 10 % of the company’s shares being obtained by black employees. Both permanent and loyal seasonal workers reap the benefits of this shareholding initiative. The Company can proudly announce that it could sustain healthy dividend payments to employee shareholders for the past 9 years. Goede Hoop’s board of directors also includes a black director. The aforementioned initiatives contributed to a favourable BEE Level 4 rating for the company.